The Shade Tree Commission helped update the Shade Tree Ordinances; reviews subdivision and land development applications and recommends where to save trees as well as type, quantity and location of replaement trees; maintains heritage tree inventory. The Shade Tree Commission meets on an as-needed basis. Meetings are open to the public. Three members appointed by the Board of Commissioners serve on the Commission for three-year terms without compensation. The Commission also has several ad hoc members. The Shade Tree Commission is currently seeking passionate individuals to serve as ad-hoc members. Anyone interested is encouraged to apply. Please send an email to Gary Cummings (gcummings@netherprovidence.org) if you are interested. On November 18, the Shade Tree Commission (STC) together with Nether Providence Township Employees and Boy Scout Pack 145, planted a total of eight trees at Summit School, Sapovits Park, Wilson Park, and Bullens Lane Park. The new trees included two service berries, two red maples, two sugar maples, one red oak, and one American elm. 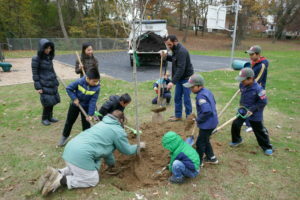 The trees were purchased as part of the Pennsylvania Horticulture Society’s Plant a Million Program. 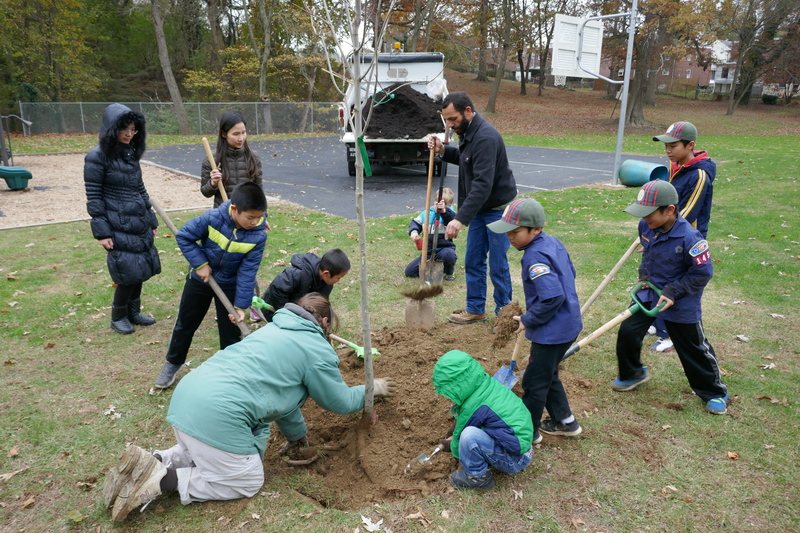 The PHS sells bare root saplings to organizations in thirteen counties surrounding Philadelphia with the goal of planting one million trees and increasing our tree cover. 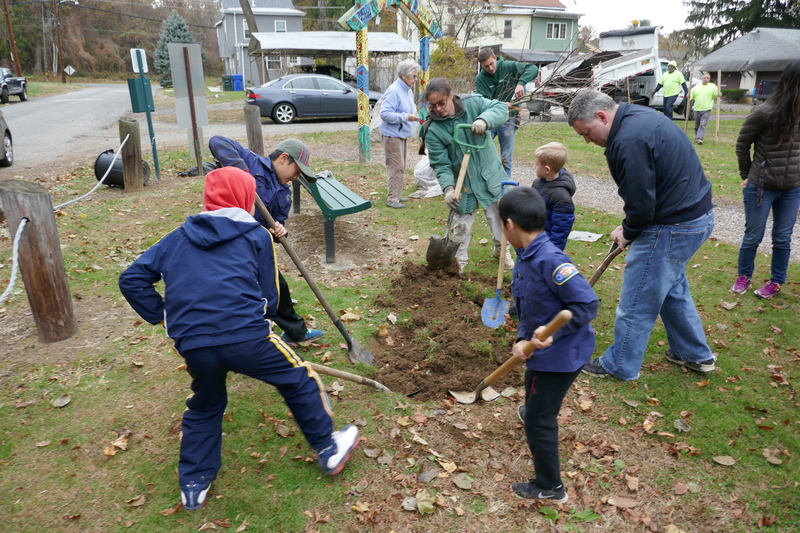 Our Township has participated in this program for several years and has planted a several dozen trees throughout Nether Providence. As in years past, our excellent Public Works Department will water and care for the new trees as they establish themselves over the next year. We hope you will stop by and welcome our new neighborhood trees.